Philip Gossett called himself “a fan, a musician and a scholar,” in that order. The great music scholar, who died yesterday in Chicago at the age of 75, saw himself first and foremost as a fan. It was his love and passion for opera, especially Italian opera of the 19th century, which led him to communicate the fruits of his study so effectively not only to conductors and singers, but to directors and audiences too. His enthusiasm was infectious. Gramilano asked some singers who worked alongside Gossett for some memories, and La Scala sent a tribute from its Musical Director Riccardo Chailly. For me, Philip Gossett was a vital figure in the musicological landscape and an towering communicator in the discussion of Italian opera. Universally known for his Rossini studies, he made an equally important contribution to a deeper understanding of Verdi’s work. For example, I remember the fascinating discussions on Gustavo III, the first version of Un ballo in maschera. Right now, I’m analysing a reproduction of an early score of Don Pasquale which has an introduction by Gossett, and to be unable to speak with him about this is an incredible loss. It was my custom, when working on Rossino buffo – Cenerentola, for example, or Il barbiere di Siviglia – to consult him, but I also remember our in-depth study of a score like Maometto II. With his passing the world of musicology, but also the world of music in general, suffers a great loss that will that will leave an important void. I had the great fortune to know Philip in 1996, in Pesaro, in an unusual role: as an actor. We worked together on a show called All’idea di quel metallo, with music, naturally, by Rossini. On that occasion, even though he was dressed as a neutral narrator, his eyes sparkled with his customary enthusiasm, with all the passion and the joy that he had for his work that accompanied him throughout his life. He infected me with these emotions during afternoons with the score of La donna del lago, or a manuscript of Tancredi or Semiramide. The last time I saw him he was, by then, in the final stages of his terminal illness, and when I hugged him I could feel that his body was slipping away… but not his mind! He was still there: alert, keen, and passionate for life… and I realised that his legacy won’t ever leave us. Thank you, Philip, and arrivederci. Philip was a mentor for me in the Rossini repertoire starting in 1993 with our Armida in Pesaro. He was so kind and so accommodating. Renée [Fleming] and I worked hours with him to get just the right variations for our 4 duets. He was a real collaborator, but an educator as well. He taught me what was stylistically correct and did it with such care and joy. He LOVED Rossini! And he made you love it as well!! I had quite a few occasions to work with him when he was “musical consultant” on some Rossini works. He always had time for you and your questions about Rossini and of course, always had a solution as well. But most importantly, he always had a smile for you. He loved his “kids” and we loved him. Another huge loss for the opera world. Rest In Peace, Phil. In the first few moments of speaking with Phillip, you would realize he wasn’t just anyone! It was immediately apparent that this was a man of intellect, bright ideas, a wry sense of humor and great joy in music. The first thing that stood out for me was his smile — big, toothy and real. He loved his work and never tired of talking about it. We came in contact when I was singing l’Italiana in Algeri at the Pesaro Festival. His enthusiasm for Papa Rossini — as we called him — was infectious, and if I wasn’t in love with Rossini’s music before I met Phillip, then I certainly was after! You know the way a person tells a joke and starts laughing before the punch line… you can’t help but laugh along with them? That’s the way he was when he was describing the intricacies of Rossini coloratura: what it meant, what emotion it had to convey, how it needed to be sung. He would get so excited that his voice would start to raise in pitch and accelerando! When Phillip talked he sucked you right in to the emotion of the moment and inspired you to try to do exactly what he said should be done! You ended up wanting to please him as well as the music! I sang the mezzo roles of Rossini for over twenty years, and a lot of people made impressions on me, from Maestro Bruno Campanella with his wonderful light, joyful but strong support as my conductor, to tenor Rocky Blake, my partner in crime so often onstage, to Marilyn Horne and Teresa Berganza who paved the way for mezzos to finally get a chance at being “glamour girls in this repertoire” and to Phillip Gossett who showed me over and over what Rossini might have meant when he wrote a certain phrase, or what all those little black notes might actually be saying for me personally! He was generous with his time, he was kind to me and supportive and I will always be thankful that I met him and had a chance to take a little portion of this musical journey together. I first met the renowned Philip Gossett in Pesaro at the Rossini Opera Festival, 1985. He was one of my neighbors in the apartment building where several of us were staying, including Samuel Ramey. Philip was in full, official “professor mode”, helping us with our now legendary production of Maometto II. This was also my Italian opera debut. Philip was immediately warm, friendly and totally accessible… like an old friend. His intelligence was at once strikingly obvious, his musicality and knowledge of Rossini were stunning! From this point on, he was a dear friend. He had me to dinner at his home in Chicago several times, his boys played with my children during the Pesaro summers. His help with raising our levels of Rossianian quality was tireless and his advice was indispensable. His passing is a gigantic loss personally and to the opera world, in general. So, so sorry to hear that this kind, honest man, whose love and knowledge of music made him one of the greatest musical scholars of our time, has passed! Somehow knowing that he is there gave me confidence and trust that everything will be alright. I’ll keep all those pages of cadenzas and variations he gave me, all the advice and all those unforgettable hours we spent talking about music and Rossini and will cherish them knowing that the world is better because people like him existed! 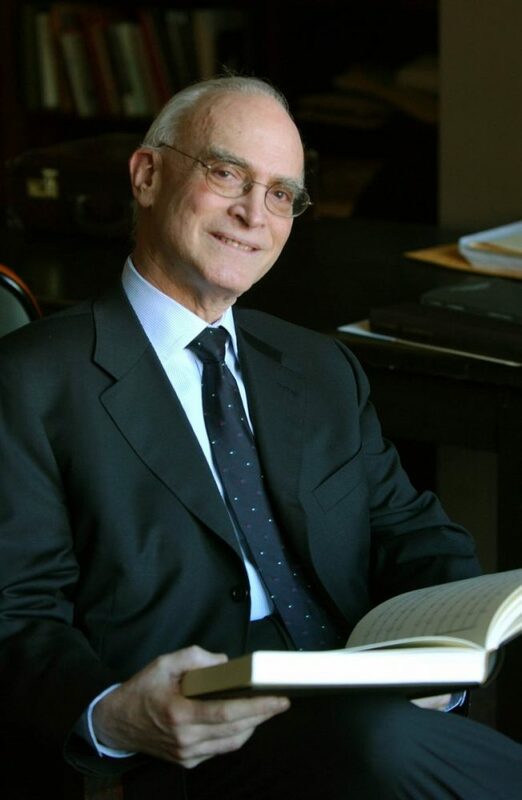 We lost the brilliant musicologist Philip Gossett yesterday. He was a wonderful man and I treasure our conversations about the fascinating world of Rossini at Santa Fe Opera and in his home in Chicago. I had several coachings on Rossini’s Maometto II with him and I was amazed by his immense knowledge. He always tried to understand what Rossini wanted. What I treasured most about his approach is that he always searched for a dramatic reason for coloraturas. For him it was not enough to showcase virtuosity, he wanted the coloratura to express something, have meaning and tell the story. It was an honor to perform the world premiere of his critical edition of Rossini’s Maometto II at Santa Fe Opera in 2012. I will miss this passionate opera scholar and very kind man. My sincere condolences to his wife and children. RIP dear Maestro. Remember that for a long time, the public accepted very little except the very latest operas. The notion that there was a history of maybe 300 years with each period producing masterpieces was inconceivable. There was no repertory in the sense that we think of it. Rossini was one of the very first to have his music survive. Not a lot of it did, but Barber and Cenerentola and William Tell didn’t completely fall out of the repertory the way the operas of Cimarosa and Paisielo and Hasse did. They disappeared completely. The ‘museum situation’ we have today in opera houses allows us to see the whole history simultaneously. We have a 17th century opera one night, a 19th century opera the next, and I hope more and more, 20th century operas. I’m somewhat encouraged by the way audiences respond to some new works. Whether they are operas I personally love or not is not the point. What is important is that opera houses continue to make an effort to do the new as well as the old.